Just published is the first of our series of Nodens Chapbooks—smaller projects that don't make up full-sized books. 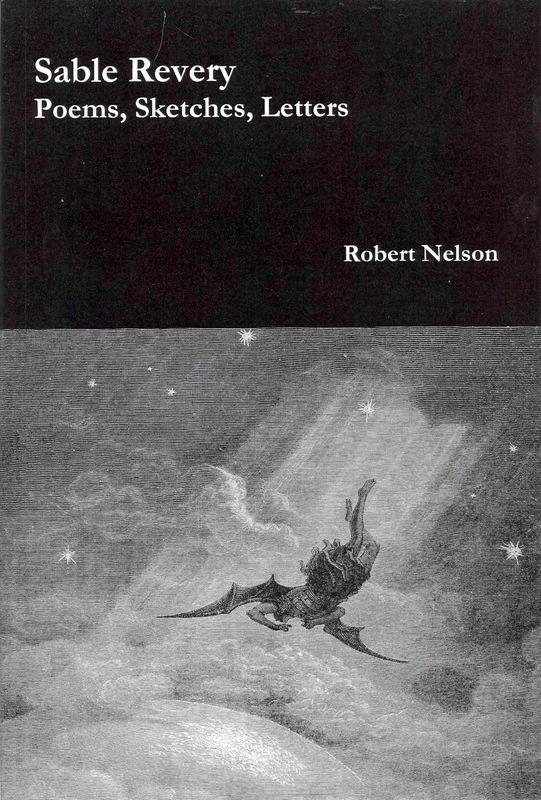 Robert Nelson (1912-1935) was a contributor of verse to Weird Tales magazine in the mid-1930s, and of verse and prose to fan magazines like The Fantasy Fan. He was also a correspondent of H.P. Lovecraft and Clark Ashton Smith. This slim volume collects all of his published poems, prose-sketches and letters, which date from the last four years of his short life. Also included are five letters by H.P. Lovecraft, four to Nelson and one to Nelson's mother after the young man's death. "His promise in the field of literature seemed to me very considerable; for despite the marks of youthful construction—indefiniteness or overcolouring now and then—his work had a distinct imaginative richness and atmospheric power which was rapidly improving through criticism and self-discipline. I expected to see him develop like other youths whose careers I have watched—August W. Derleth, Donald Wandrei, Frank B. Long, etc.—who are now well-established figures in the world of weird writing." Sable Revery is available in two formats, trade paperback (from Amazon and Lulu) and hard cover with dust-wrapper (from Lulu). To order via Amazon (US), click here. To order via Lulu, click here. To order via Amazon UK, click here. This is extremely exciting and I thank you for it. I've become rather obsess'd with ye poet & have written a prose-poem in his memory for ye Lovecraft eZine. I must get this wee collection! I will get this as soon as Henrik Harksen releases HEX CODE & OTHERS -- that way I can kill two birds with one stone! Is there any chance we'll see this and your other books in digital format? Thanks. I've got one bigger project to finish, and then I'll be looking into how to do digital formats. Thanks for inquiring!